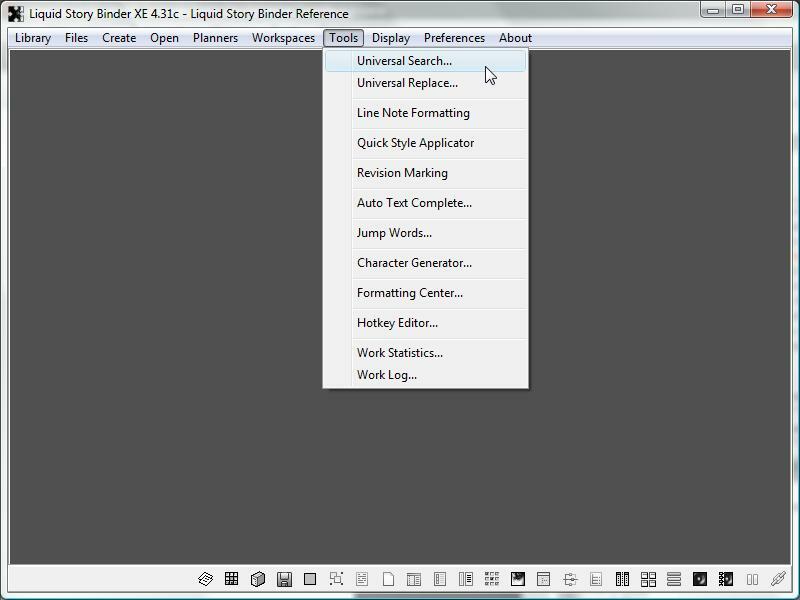 Liquid Story Binder's 'Universal Search' allows you to search every file within the selected book. Here, you can search your chapters, notes and backups for any given word, words, or phrase. 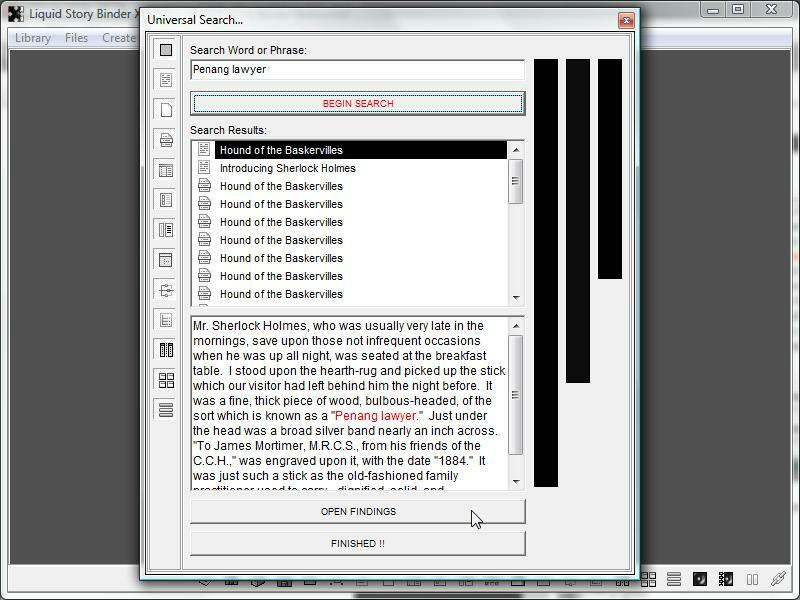 The 'Universal Search' works by scanning individual paragraphs within each document. Findings are based on these per-paragraph searches. 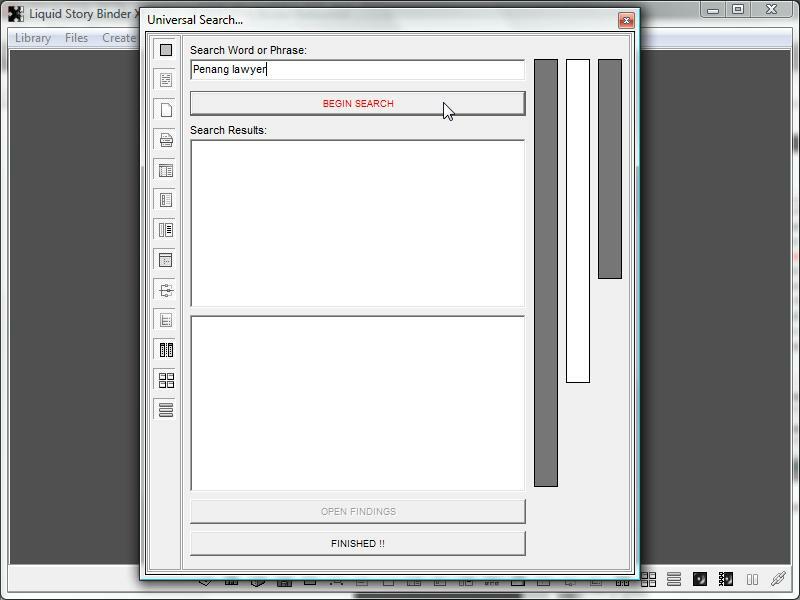 Begin by choosing 'Universal Search' from the main 'Tools' menu. You can restrict the kind of documents that will be searched by selecting their associated type icon in the down position. Click 'Begin Search' to start searching.. Select any 'Search Results' item to preview your findings. Press the 'Open Findings' button to edit the selected document.